With more than fifty percent of the square footage located below ground, the new buildings are modestly sized and respectful of the Morgan's traditional architecture and the surrounding neighborhood. Gilder Lehrman Hall, named in honor of Richard Gilder and Lewis E. Lehrman, is the Morgan's first performance hall and a significant new concert venue for New York. 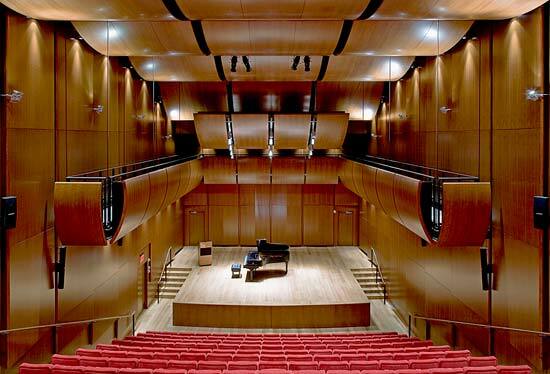 The hall, located below ground in the northeast corner of the site, was designed by Renzo Piano and acousticians Eckhard Kahle and David Harvey, and features fine cherrywood paneling on the walls and ceiling and a flexible stage that allows for the accommodation of up to 260 people. A state-of-the-art storage facility for the collections is nestled deep into Manhattan schist and is equipped with modern climate control and security systems. 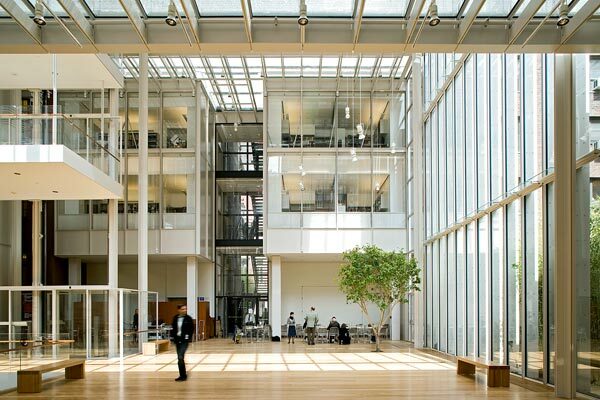 The Sherman Fairchild Reading Room maintains the subtle charm and intimacy of the former facility but is also outfitted with new technology and many more workstations to meet the needs of contemporary researchers. 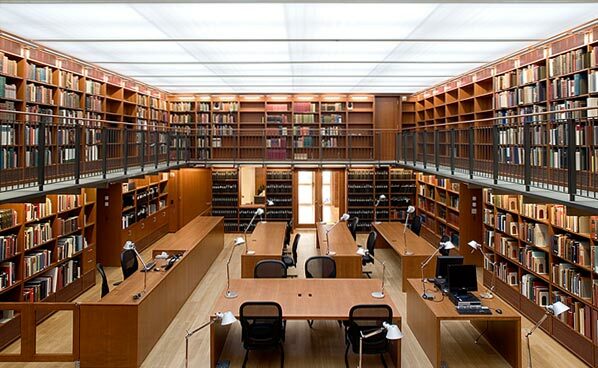 Naturally lit from above, its translucent roof structure enables scholars to examine the Morgan's holdings in the ideal environment for studying manuscripts and works on paper. The Horace Goldsmith Foundation Education Center is a multipurpose room that accommodates classes, small lectures, and other educational offerings. There are two new dining facilities—The Morgan Café, located in the central court, and The Morgan Dining Room, located in the former Morgan family dining room of the Morgan house. The Morgan Shop has been expanded and is located in two restored period rooms on the first floor of the historic Morgan House.